It’s everyone’s dream to be able to share their love of something with someone else. I’m sure everyone has sat down to watch their favorite movie with a friend and spent the whole time watching their friend’s face for reactions. Digimon has always been the hardest thing to share with people. The anime isn’t perfect and the video games are almost all terrible. You really have to be a specific kind of person to enjoy Digimon. Recently, I was successful in introducing the Japanese multimedia franchise to the most challenging of audiences: kids. Getting married doubled my family and brought a bunch of new people into my life. This includes Katrina’s eight-year-old little brother Zach, and her eleven-year-old nephew Alex. 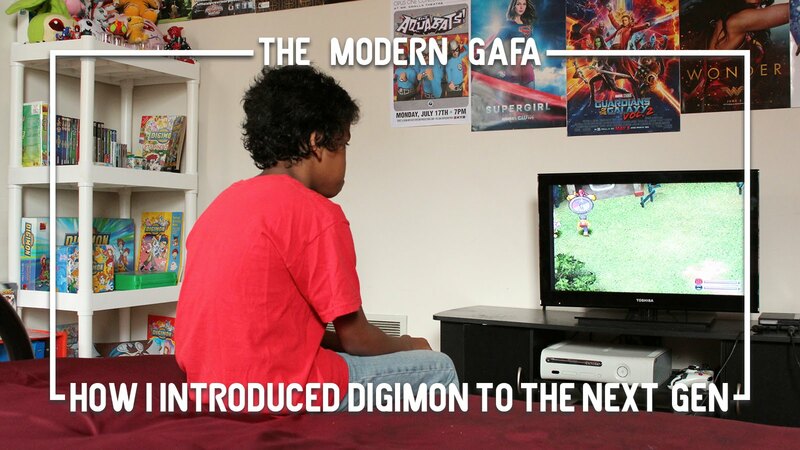 This is one of the hardest generations get interested in Digimon. Anime has become such a ‘grown up’ thing in recent years, and the original anime dub doesn’t exactly hold the same kind of attention span as Despicable Me. And of course, the unfortunate similarities in the franchise’s name to another not at all similar franchise always holds people back Despite this, over the summer they’ve both grown into little Digimon fans. I’d like to say I had some master plan that created a situation where the two of them became fans. I’d like to say I had a great way of spinning the franchise’s weaker elements to appeal to the kids of today. I’d like to take any credit for this. But honestly, I didn’t even mention Digimon to either of them. All I did was be myself. And I am pretty sweet. Zach looks up to me because he thinks I’m cool. Alex actually said he’d pick me to be President. On my birthday, Alex decided to watch Digimon ‘in my honor.’ He lives in a different state, so it wasn’t like we had a family party. He watched the first episode of Adventure and was hooked from there. I didn’t hear from this until months later when his mom, my sister-in-law, informed me he wanted to be WarGreymon for Halloween. Apparently, he’d finished all of Adventure and Zero Two and had just started Frontier. 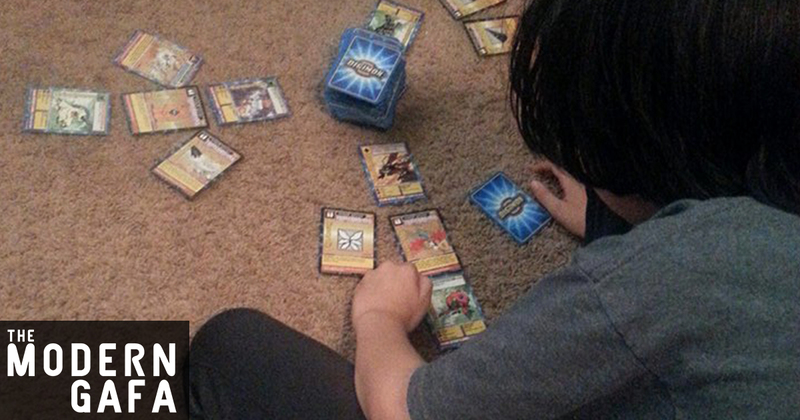 He had no idea Tamers existed and was committed to finishing Frontier first. I also informed them that a feature length movie existed. From what I understand, his TV time is not unlimited and he has basically been binge watching the whole thing. By Halloween, he’ll have finished everything, except Data Squad which isn’t streaming anywhere. Zach was going to prove harder to bring into the Digital World. We’ve sat him down with movies and TV shows, given him books and games, and the result is always the same: we look away for five minutes and he’s on his iPad. And it’s not like we’re trying to get him into the classics like The Last Unicorn or The Secret of N.I.M.H. 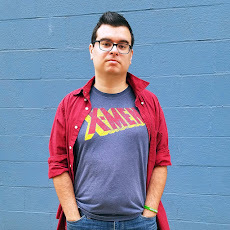 He stopped watching Captain America: Civil War because it was “boring.” So one day I said, “Screw it,” if he’s not going to utilize my vast collection of pop culture amazing, I will. So there we are on the couch. He’s playing some “game” on his iPad and I’m playing Digimon World: Next Order on my PS4. I don’t know what happened to cause it. He must’ve heard a sound or saw something on the screen that made him curious. He asked to play. I set him up with a new file. And it was all he played for the rest of the weekend. Next time he was over, I took a more direct action, occasionally bringing up that the original Digimon World is better. Eventually, he asked, “Can I try that one?” and an hour later he’d killed his first Numemon and admitted that the original was better. Zach wasn’t as susceptible to the first episode of the anime as I thought he’d be, but he did ask to watch the second episode a few weeks later. I’ve been trying to get rid of my massive collection (seriously a storage tote’s worth) of extra Digimon Cards on eBay, so I threw a bunch in a box and mailed them off to Alex. As a kid I loved collecting them, buying packs, and trading them with friends. Alex got more than he’d ever need in one box. I don’t care about how much I could’ve gotten for them on eBay. I’d send him a box twice as big even if he wasn’t family. Digimon was at the center of some of my favorite childhood memories and seeing kids have those experiences is worth more than money to me.